Having surgery, regardless of how minor, is on the bottom of my list of enjoyable activities, but my recent cataract surgeries contained a huge kindness element for me that raised that procedure closer to the top. Plain and simple, Pacific Cataract & Laser Institute located in Bellevue, WA, knows how to treat their patients. From initial consultation to post-surgery goodbyes, each staff member offered kindness of which many medical practices aren’t convinced is necessary. Keep in mind, PCLI is an extremely busy medical and surgical office. They perform approximately 50 cataract surgeries two days a week so the comings and goings of their patients make for an oftentimes full waiting room, an always busy front desk, and a maxed out medical staff that never gave the impression that you were just another business statistic for the books. A separate element of kindness that existed while waiting in the pre-surgery area with other cataract surgery candidates was the camaraderie that existed amongst us. Some were there for their second eye, others, their first. For my first eye, I was extraordinarily nervous in that pre-surgery room, knowing what was coming next: numbing injections into the eyeball. After receiving said injections, I sat in the next surgery waiting area adjacent to and visible by the other candidates awaiting their injections. When the nurse came to usher me into the surgical suite, I waved to those patients and said, “Goodbye my wonderful fans!” drawing a laugh from everyone there that could be heard by my husband in the general waiting area of the medical practice. Perhaps that served as a kindness to those Nervous Nellies and Neds awaiting their next step, I certainly hope so. And now some more kudos. My personal eye doctor, Susan Wynne of Eastside Vision Care, who referred me to PCLI, mirrors the same commitment to customer service and kindness. Dr. Wynne provides the day after, week after, and month after follow up care post surgery for me. After my first cataract surgery, I more or less got freaked out because of the vision anomalies experienced during my recovery. She compassionately provided a clear explanation for what I was experiencing; she talked me down from my immediate concerns that one could characterize as being somewhat anxious, to believing my vision going forward was forever ruined. Prior to becoming a patient of Dr. Wynne’s earlier this year, my husband and I had little satisfaction for the eyecare we received over the years. We would dread the yearly vision exams because the various doctors with whom we met a) seemed not to care, and b) didn’t provide the type of attention we felt our eyes demanded. Dr. Wynne is certainly the exception. 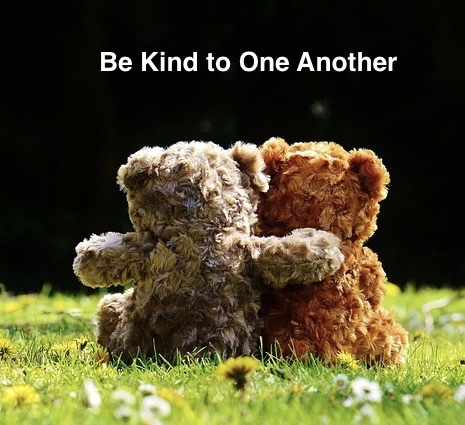 So, there you have it: two medically focused happy endings provide this week’s edition of Kindness Fridays. This entry was posted in 21st Century Living, Health & Wellness, Personal Struggles and tagged cataract surgery, Dr. Susan Wynne, Pacific Cataract & Laser Institute, PCLI. Wow – a place that doesn’t fill up the waiting rooms and herd patients like cattle in and out of teeny rooms not listening to the actual questions or concerns, just delivering rote info/data if that…novel concept – so happy for you, though not that you had to have the operation! Once you come upon a gem of a medical group, hang on tight and never let go! It’s nice when a busy medical practice makes you feel like you’re their only patient. I’m glad everything went well! Total healing will take a full month at which time I’ll know what my vision will be going forward but things are going well thus far.